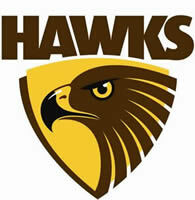 The Hawthorn Football Club and Box Hill Football Club established an alliance on 23rd December 1999, forming the Box Hill Hawks. The affiliation sees Hawthorn players who are not selected in the side each week represent the Box Hill Hawks in the VFL. Hawthorn members are issued with Box Hill Hawks Season memberships. This allows them entry into every home match at Box Hill City Oval. The alliance with Hawthorn continues to be one the most successful VFL/AFL partnerships in the league. Fourteen Box Hill players have been drafted into the AFL, highlighting the ongoing success of the VFL pathway. In addition to Sam Mitchell (Hawthorn) and Michael Firrito (Kangaroos), other players include Michael Rix (St Kilda) as well as Ben McGlynn, Simon Taylor and Matthew Ball all of whom were drafted to Hawthorn. The Box Hill Hawks alignment with TAC Cup Under-18’s club Eastern Ranges was established in 1996 when the new VFL was formed. All TAC Cup Clubs were zoned to a VFL affiliate club based on the proximity of their location. The Eastern Ranges and Box Hill Hawks were a poignant pairing given the Whitehorse Road synergy. The alignment allows the Eastern Ranges to play home games at Box Hill City Oval and utilise the facilities for training sessions. Eastern Ranges also have the advantage of providing the opportunity to all overage players to go through the Box Hill Hawks system. Players are encouraged to stay within their zone in pursuit of their football careers. A transfer fee applies to those players who decide to play outside of their zone. Many Eastern Ranges players have progressed to the VFL and further into the AFL. None of these players are more prominent than Hawthorn vice-captain, Sam Mitchell and Michael Firrito from the Kangaroos. Mat Smith and Ben Neagle are two former Box Hill Hawks players that also came through the Eastern Ranges and represented the club in the 2003 VFL Grand Final.